Remembered each year on 3rd Saturday in July at 9 PM. On July 30, 1864, Confederate soldiers, led by General John McCausland, under the order of General Jubal Early, demanded Chambersburg pay $100,000 in gold or $500,000 in Yankee dollars or the town would be burned. 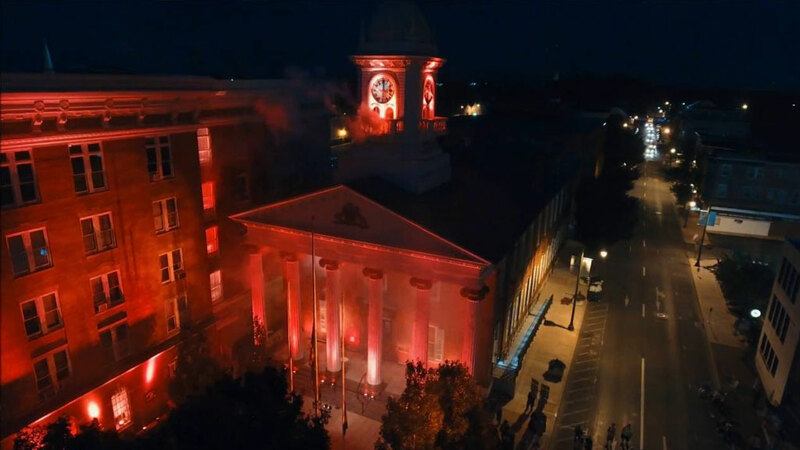 Chambersburg did not pay the ransom and the center of town was set aflame. Over 500 structures were destroyed, between 2000 and 2500 people were left homeless, and loss of real estate and personal property exceeded $1.5 million. Today, as we look back to the American Civil War, we remember our sacrifices and triumphs, both as a nation, a county, and a community. Walking the streets of Chambersburg, it is important to remember the devastation that happened here on July 30, 1864. Then, it is just as important to remember the spirit and dedication that resuscitated a devastated community and built it into one, which thrives and prospers nearly 150 years later.